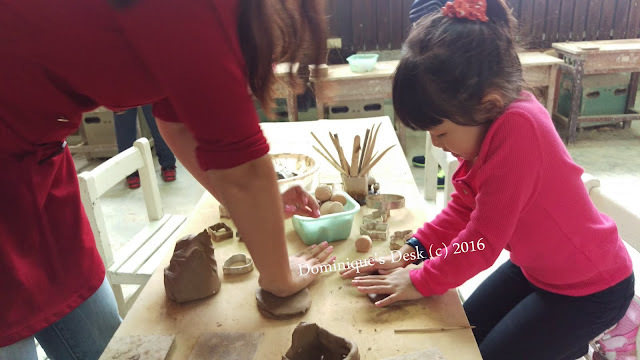 Letting the kids try various different types of art was one of my aims during our December holiday trip to Taiwan. 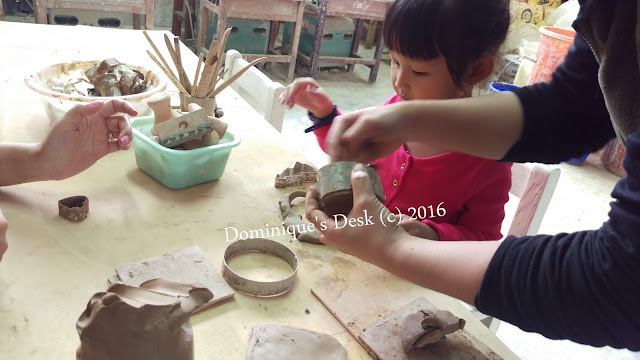 Pottery was one of the things which I would love the kids to try out and we got the chance at Li Tao Wan Pottery. The instructor taking out the clay for use. 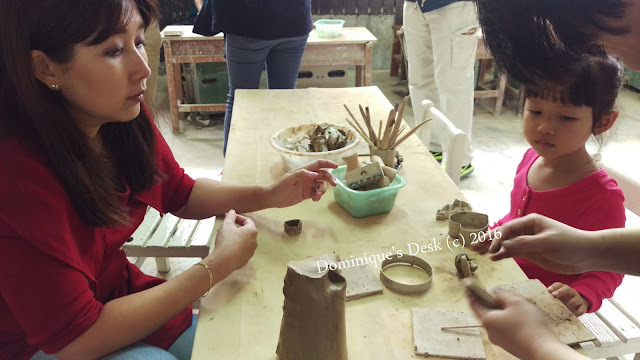 It was the first time the kids saw a pottery workshop and experience how to manipulate the potter’s wheel. As far as I know this kind of experience is not readily available here in Singapore. They were really privileged to try it last December. 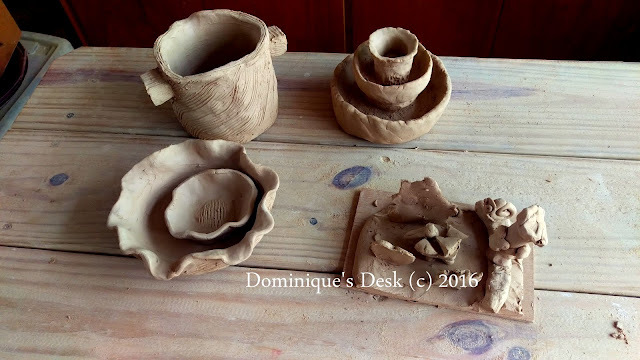 It looked like a scene out of Ghost where Demi More was making her vase on a similar wheel. Doggie boy getting to do his art work. 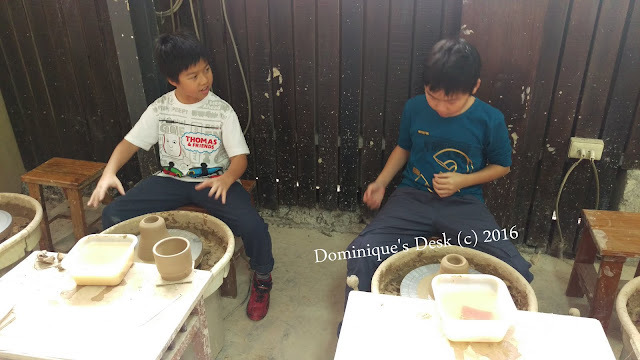 The boys had to dampen their hands with water before starting on shaping their piece of clay. 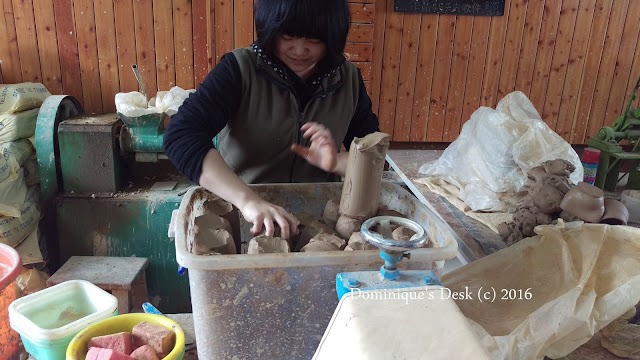 Tiger girl is too little to work the potter’s wheel so we used cutters and our hands to make our own art work. 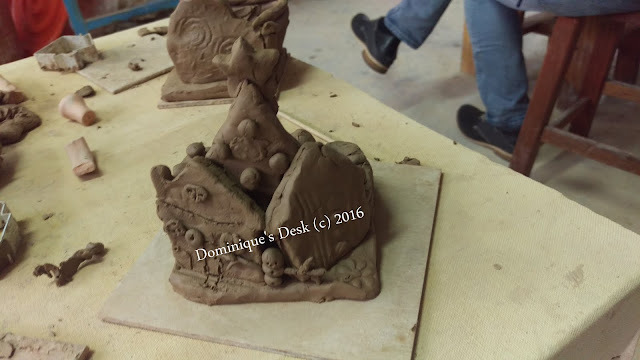 We started on our design once the instructor gave us our piece of clay to play with. 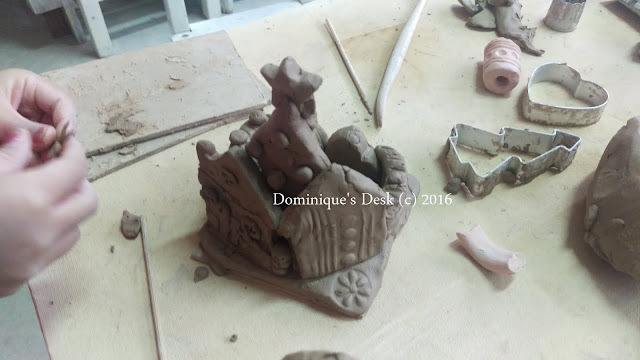 Tiger girl and I decided on making a clay house which had a Christmas tree in the backyard. 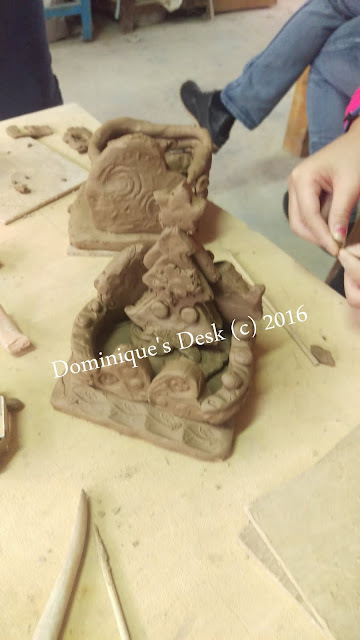 It was really fun to use the different imprints that we available to us to design our clay figurine. I love the details which Tiger girl made using the different presses that we were given. 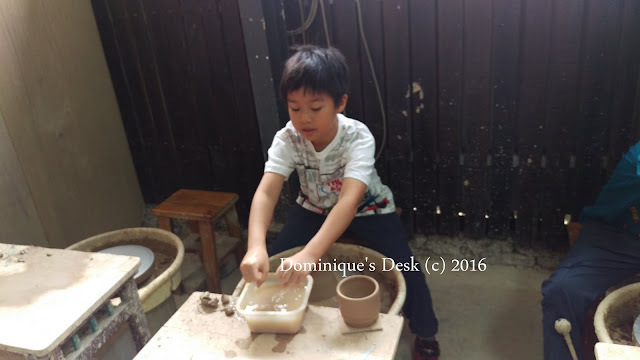 Doggie boy made a cup while Monkey Boy made a bowl with his piece of clay. We had to wait about 4-6 weeks after the artwork was done before we could receive it as they only did batch firing in their kiln. 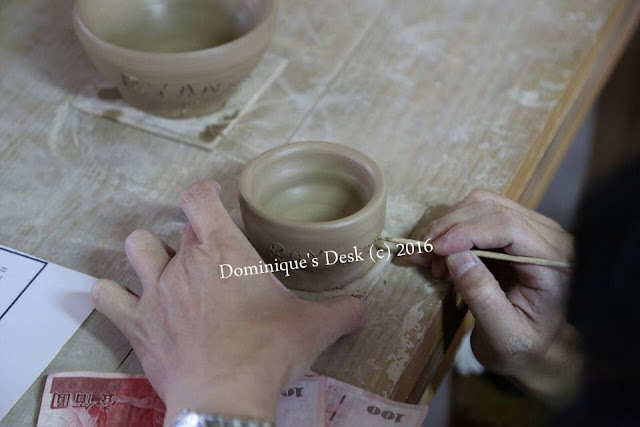 Have you tried doing pottery before?